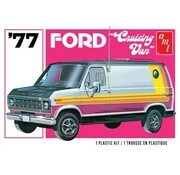 AMT’s 1977 Ford Cruising Van! 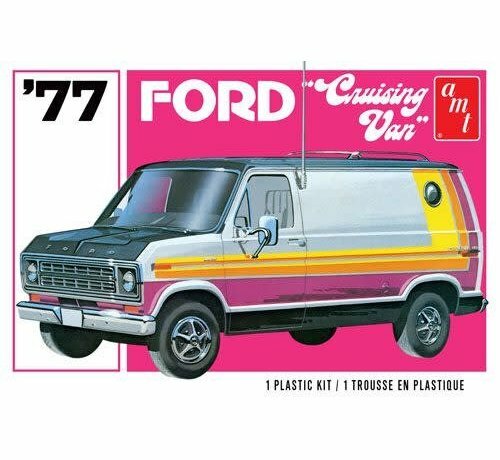 This super-detailed kit builds into an authentic replica of Ford’s groovy factory-custom street van. 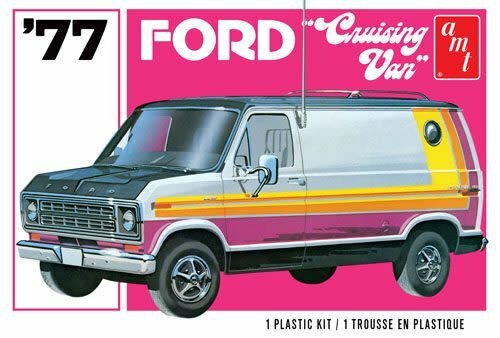 Enticing, improved features like a gigantic decal sheet with two full sets of carefully researched factory stripe options and special pad-printed Firestone tires are sure to please. It even includes newly-tooled authentic wheel covers, much more accurate to the 1:1 vehicle! Retro Deluxe packaging seals the deal. Get cruisin’ with AMT!